We’re less than a day away from the return of ORANGE IS THE NEW BLACK, and to celebrate, Netflix released a new trailer. And, as you might expect, it looks pretty glorious. ORANGE IS THE NEW BLACK season 3 bows on June 12th. ORANGE IS THE NEW BLACK will return for a fourth season, Netflix announced. 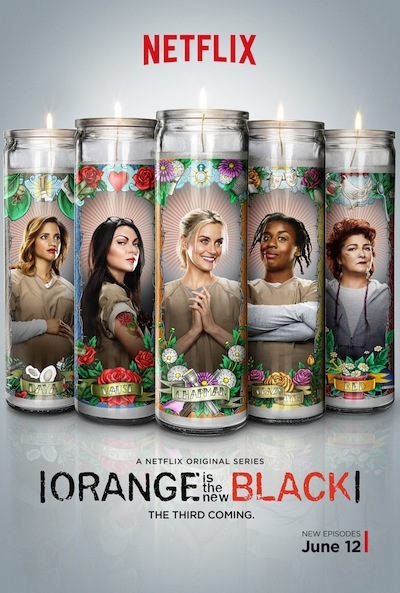 ORANGE IS THE NEW BLACK season 3 launches on June 12th. Are you excited to know the show will continue on beyond that? ORANGE IS THE NEW BLACK’s season 3 trailer is here! Taylor Schilling in a scene from Netflix’s “Orange is the New Black” Season 2. Photo credit: JoJo Whilden for Netflix. ORANGE IS THE NEW BLACK season 2 is now available to stream on Netflix. And if you want to catch up on season 1, that’s also streaming on Netflix, and is available on DVD . Fans only have a month left to wait before ORANGE IS THE NEW BLACK season 2 debuts on Netflix, but there’s another reason to celebrate: the show has been renewed for a third season, a rep for Netflix has confirmed. ORANGE IS THE NEW BLACK star Laura Prepon (Alex) first revealed the news via Twitter/Instagram. Are you excited for more ORANGE IS THE NEW BLACK?